We have many years of experience and are very adept at understanding Customer requirements in terms of building use, budget and design. 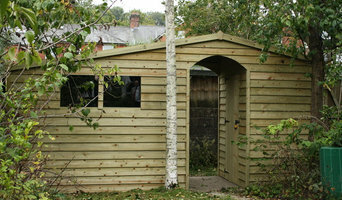 Garden Retreat specialise in consulting with you the Customer. We will visit your home with various samples, designs and manufactured options depending on the type and design of building you require. We will also advise you on base options and discuss with you any planning or building regulations you may need to observe. We have particular expertise in bespoke timber buildings to suit your exact requirements and have been selected by a number of Timber Building Manufacturers around the United Kingdom to act on their behalf as consultants. Alternatively we can offer a range of manufacturers if you contact us directly, ensuring we can provide you with a range of unbiased options. 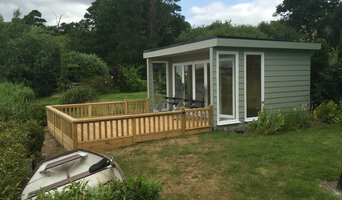 Garden Retreat focus specifically on Garden Offices, Home Offices, Log Cabins, Timber Garages, Timber Storage Solutions, Work Rooms, Farm Shops, Timber Retail Units, Timber Retail Kiosks, Pavilions, Club Houses and Village Halls. The buildings can be delivered & installed throughout the UK, we have a virtual show site which showcases a vast range of successful completed projects. If you wish to view a particular type of building we have selected customers in your area who would be happy to show you their installation. All our installers and tradespeople have been carefully selected to ensure a reliable and high quality service. The additional services we can provide includes Business Finance, Planning Support, structural base-laying and installation. If you require a free no obligation home survey or quotation or would just like some advice please do not hesitate to contact us. We are happy to discuss you requirements UK wide and can provide home surveys & visits in Hampshire, Dorset, Devon, Somerset, Wiltshire Gloucestershire, Oxfordshire, Surrey and Kent, although we do consult across the UK. Established for over 16 Years, Apple Home Improvements are a leading supplier and installer of quality home improvement solutions including Conservatories, double glazing and doors. Our head office and depot is situated near Bournemouth airport with showrooms Bournemouth, Southampton and Weymouth. Diamond Home Improvements has years of experience and expertise and a commitment to excellence. Renowned for our professional and caring approach since 1989, Diamond's emphasis is always on attention to detail in order to deliver the best quality service available. If you have dreams of a low-maintenance property, a conservatory, new replacement windows or doors, fascias, soffits & guttering, or perhaps a canopy,carport or verandah, we have a team of sales consultants, surveyors and installers who have one overriding objective: to exceed your expectations! Diamond offer the full range of conservatories in uPVC, Hardwood Timber and Aluminium and we can design bespoke conservatories to fit your particular requirements, or supply a standard size product. Building a conservatory, sunroom or orangery can be quite a substantial project, so it’s a good idea to hire a professional designer or specialist conservatory builders in Southampton, Hampshire who have a lot of experience with conservatory installation or constructing bespoke glass extensions. 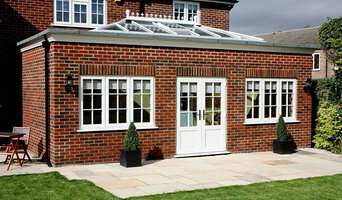 Although the advantage is that with a conservatory planning permission isn’t always needed. With Houzz you’ll be able to see examples of pros’ previous conservatory or orangery designs, so you can determine which Southampton, Hampshire conservatory specialists will be best suited to your project. You can easily find contact details on the professionals’ profile pages and then you’ll be able to receive conservatory costs and quotes for construction or installation. How should I plan my Southampton, Hampshire conservatory, sunroom or orangery project? You will first want to determine how much outdoor space you have available to build your conservatory and then what you’d like the dimensions to be. Conservatory planning permission is not needed if your extension meets the government’s guidelines on conservatory projects, so it is best to check these before deciding on the size and style of your new conservatory installation – professional conservatory builders in Southampton, Hampshire will be able to help you with this, too. If your Southampton, Hampshire house is within a designated area (including national parks and conservation sites) then there are further restrictions which could affect your choice of conservatory materials and styles. Once you have determined the dimensions and have an idea on what conservatory styles and materials will be feasible, then you can begin to find your ideal Southampton, Hampshire conservatory designer by browsing the designs, photos and reviews on Houzz. 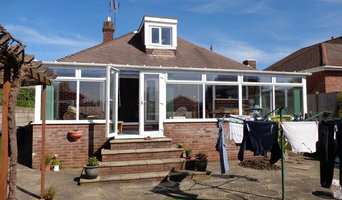 You can look through their portfolios, see previous projects, ask questions, find out their average conservatory cost, look at their own website and contact them directly to discuss your sunroom, orangery or conservatory installation. 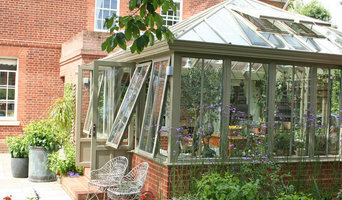 What should I ask a prospective sunroom specialist or conservatory builders in Southampton, Hampshire? Find a conservatory, sunroom or orangery designer on Houzz. Narrow your search in the Professionals section of the website to Southampton, Hampshire conservatory, sunroom and orangery designer. You can also look through Southampton photos to find a conservatory, sunroom or orangery that you like, then contact the designers or conservatory builders in Southampton, Hampshire who worked on it.